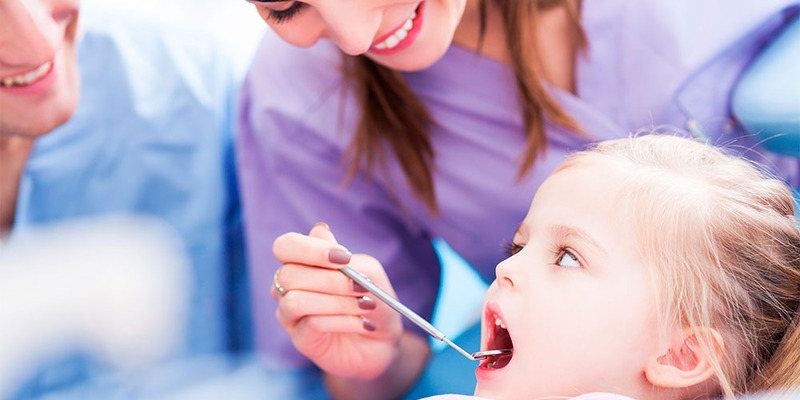 Treatment of dental caries in children in Kiev. 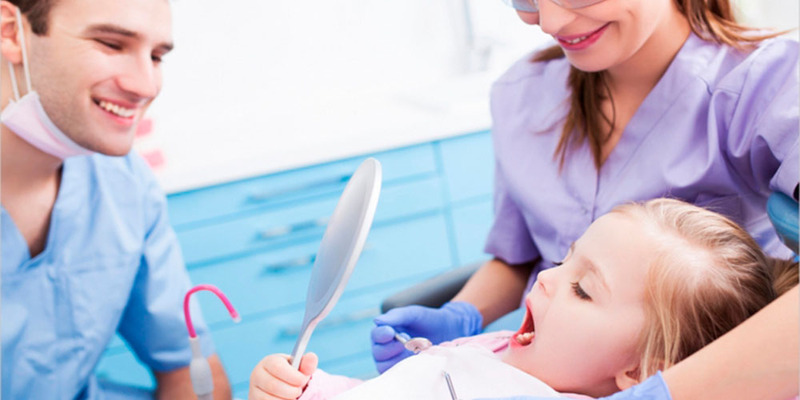 In children’s dentistry, most often there are such diseases as caries, pulpitis and periodontitis. Caries of teeth in children is slightly different than in an adult. Milk teeth have very thin enamel, especially in the areas between the teeth and the edge of the gum. For this reason, the microbes from the plaque easily reach the dentin — the main tooth tissue. It is much softer than enamel and destroyed even faster. In the enamel of a tooth decayed with a tooth, only a small hole is visible, but within the destruction can be much more extensive. Caries can destroy the dentin of the milk tooth so much that the bacteria get on the tooth pulp of the baby. Then complication of caries begins — pulpitis. Complications of caries of milk teeth is periodontitis. The microbes from the root of the tooth fall into the surrounding tissue, inflamed bone. The child has a fever, severe pain, swelling of the cheek. Periostitis — inflammation of the periosteum — a very serious and dangerous disease, the occurrence of which can not be avoided. Caries of milk teeth is well cure, it is treated quickly and effectively. When treating an affected milk tooth, all sick softened tissues that have infected microbes are removed. The tooth, struck by the dental caries, is sterilized, and the hole is sealed by special sealing means. After that, the entrance to the milk tooth of the microbes is closed. Now he will be able to live up to the change of milk teeth to permanent teeth. Treatment of pulpitis and treatment of periodontitis of the milk tooth is a separate storyWe need only to note that the later started the treatment, the worse the predictions of the affected tooth. Such a severely damaged tooth may not survive to change its milk teeth (milk teeth begin to be replaced by indigenous teeth from six to seven years, and the change of milk teeth ends, as a rule, in twelve or thirteen years).